While we love our carb-loaded dishes, Art and I will from time to time place a limit on the “bad” carbs and increase our vegetable intake. You know, the “good carbs.” Don’t you just hate that some carbs get a bad rap? Our “go-to” dish during the week is Chicken Fajitas. Not only is the chicken a leaner cut of meat, but adding onions, garlic, and bell peppers along with special fajita seasonings make this a healthier dinner bursting with flavor. Recently, we had some Jade Asian Greens Baby Bok Choy and thought to ourselves, “Hmmmmm… this could actually be really tasty!” And guess what, it was! Yay! I just love when we are able to plus-up our dishes with more good-for-you greens. It helps to alleviate some of the guilt from all those tacos we eat on the weekends. Did this pique your curiosity? 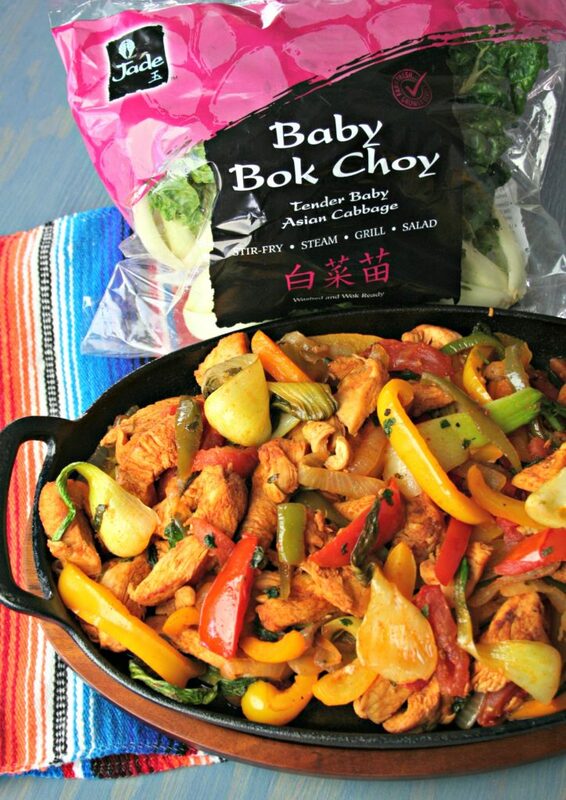 Seriously, give it a try and check out our recipe here: Classic Baby Bok Choy Chicken Fajitas. What we’ve learned about the nutritional benefits of Baby Bok Choy is that Asian vegetables are some of the most nutrient-dense vegetables in the world. They routinely make the list of foods most often recommended by health care professionals, dietitians and nutrition experts as contributing maximum nutrition per calorie. 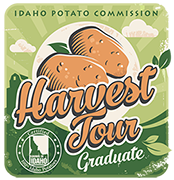 They’re high in vitamins, minerals, fiber, antioxidants, healthy phytochemicals, micronutrients and naturally low in calories, sodium, fat and have zero cholesterol. SOLD! Right? What I love about these Asian green leafy vegetables are their flavor AND versatility. As we have done here with the chicken fajitas, LatinoFoodie has also made Braised Jade Baby Shanghai Baby Bok Choy with Mole Rojo. This is a perfect dish, especially for your vegetarian friends. You can also find that recipe by clicking here. So, if you are hungry and want to up the ante for some nutritional greens in a traditional Mexican dish, give our Baby Bok Choy Chicken Fajitas a try this week! If you’d like more recipes, Jade Asians Greens has a website full of baby bok choy recipes! and a Baby Bok Choy Pinterest board . And join LatinoFoodie in following them on their social media channels for more delicious recipes and ways to use nutritious greens: on Facebook, Twitter, and Instagram. Jade Asian Greens has provided me with greens for recipe development. While I received compensation for my time, my opinions are my own, and I have not been paid to post positive comments. Thank you for supporting the brands that support our blog.